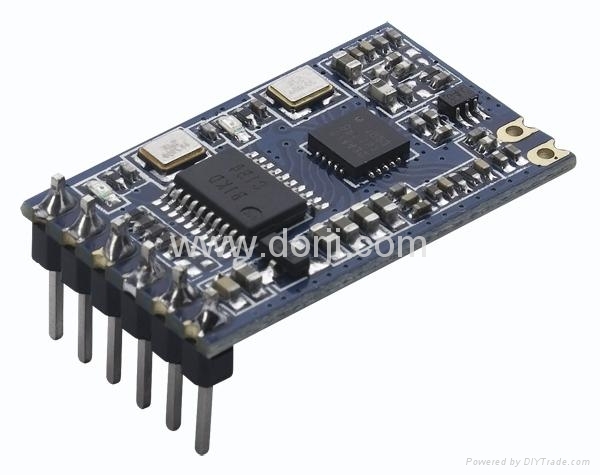 DRF4432D20I is a low-cost sub-1 GHz transceiver module designed for operations in the unlicensed ISM (Industrial Scientific Medical) and LPRD bands. 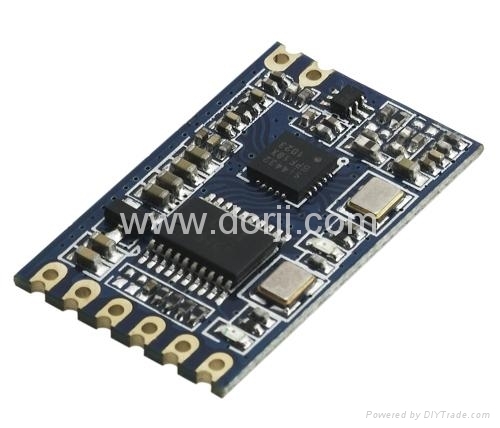 FSK (Frequency Shift Keying) modulation/demodulation, multi-channel operation, high bandwidth efficiency and anti-blocking performance make DRF4432D20I modules easy to realize the robust and reliable wireless link. The module can be configured to work in 40 channels with 1MHz channel space, which reduces the interface from adjacent channels. It contains NetID and NodeID. Only modules with the same NetID can communicate. The NodeID of modules can be different and it doesn’t affect the normal use.